The Curtiss SB2C Helldiver was a standard US Navy carrier-borne dive bomber of WWII. 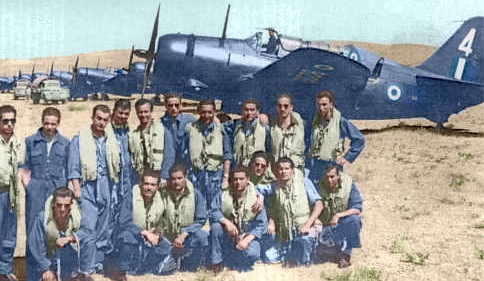 Despite it’s somewhat mixed reputation with American pilots, it was extremely effective during the war. The Helldiver scored more dive bombing sinkings of enemy ships than any other Allied dive bomber. It’s post-WWII career with the US Navy was short. 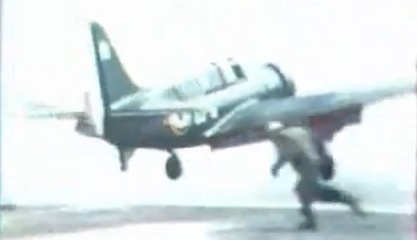 The US Navy began converting Helldiver squadrons to other types (or simply disbanding the squadrons) in 1946. The final US Navy attack squadron to fly Helldivers was VA-54, which flew them off USS Valley Forge (CV-45) in 1949. However, the Helldiver saw long and varied use after the war elsewhere.